Sydneysiders like to think of themselves as the most eccentric people in Australia and there are certainly some characters there so why not some of the crazy restaurants also. Here is the insiders guide to Sydney And New South Wales' five wackiest restaurants. Got some more? Let us know which wacky restaurants you've been to by adding in a note in the comments section on this article, we look forward to sharing your experiences. Nothing like being terrified over your meal - all in the name of good fun of course! Frightnight now has a new location, at The Monster Steakhouse and the New Monster Cafe, 361 Macquarie Street, Liverpool. You can even take the Monster Steak Challenge or see their floorshow during the week. Promising 'Extremely Cheeky Entertainment', Frightnight begins at 6pm on Saturday evenings, when the cast will come out and welcome you; keep in mind, you are likely to have them take the mickey out of you. This is all part of the show and the fun until 7pm when they serve dinner, all the while being entertained with photos, prizes and games. After this is the floorshow, intermission, dessert and the rest of the show. Your night does not need to end there, you can dance away with their dance party, you can kick on until midnight. Needing more? The Monster Cafe stays open for coffee and cake up to 12.30am after every Show Night. Dirty Dicks theme restaurant has been around for years and it is still serving up a distinctive mix of medieval old English fun and feasting at a range of venues. Fully themed, it is a wonderful comedy stage show with a magnificent three course banquet, all staff in full costume and non-stop interactive fun throughout your entire visit. Whilst not a restaurant (& generally they only serve drinks with a small selection of sweet treats to share, minimum of 1 drink per person, maximum of 3), I just can't miss this one out. As a lover of Paris, the opportunity to be transported to Montemarte in the heart of Sydney certainly stirs my interest. At Absinthe Salon, you are encouraged to dress up in your finery and be transported to a time of poets and artists. As you enter the salon, you can feel like you have stepped back in time. Certainly a special date to impress a loved one. There's something so elegant about this drink, made from wormwood, fennel and green anise. 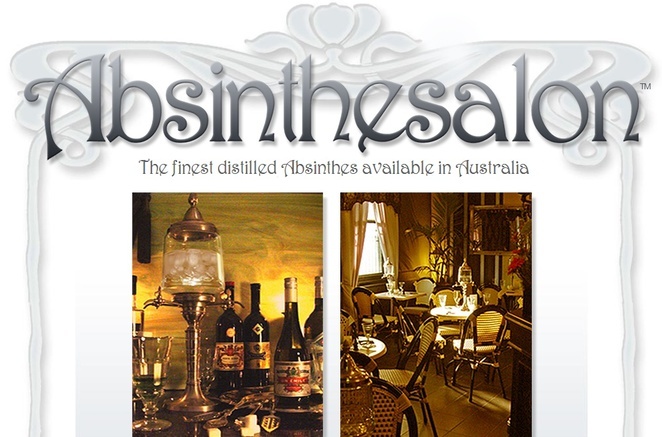 They also serve non alcoholic drinks along with a selection of 30 of the finest French and Swiss absinthes available. Whilst here a must try is the Boules d'absinthe de Chocolat - liquid centred absinthe truffles. Let me know what you think. The salon is at 87 Albion Street, Surry Hills. Click HERE for website. Dinner and drinks with a ghost? The Hero of Waterloo Hotel was built by convicts over 160 years ago. Now they welcome guests in the heart of The Rocks. 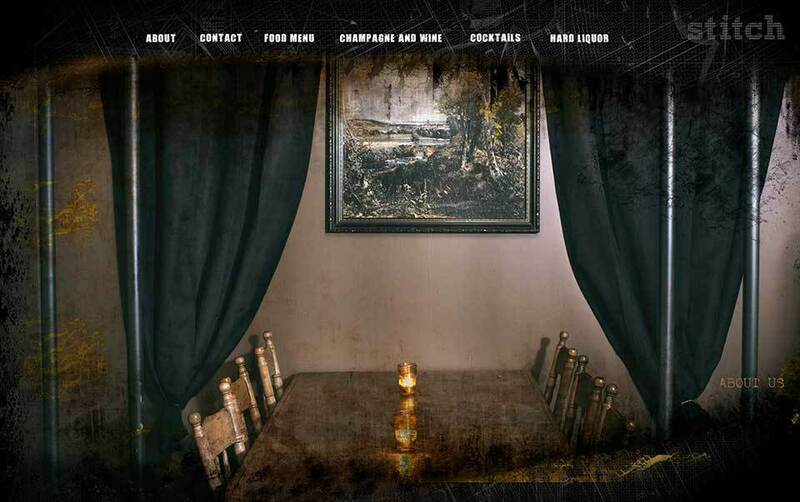 They have a bar, live music, restaurant and you can even take a ghost tour. Who knows, you may even end up sharing your meal with the ghost of Anne Kirkman. For those that just can't get away from their sewing, even with enough time to have a meal, you're sure to delight in the Stitch Bar. The Stitch Bar is full of funny designs and sewing machines all under the bar, even around the windows, and the table that you sit at may have a pedal on the floor as if it was an actual working sewing machine. The bar is a little difficult to find underneath the stairs which can be part of its charm. If you love desserts their's are fantastic - including raspberry and caramel waffles with pear and rhubarb crumble ice cream. With great snacks, amazing burgers and great hotdogs, they also have amazing cocktails (although very expensive). It's located at 61 York Street, Sydney. The laneways of Melbourne - perfect for weekend brunch. Why? Eat with more fun!